It was more a Sunday evening stroll than a march, but the Saints are back to the top of the table either way with a comfortable win in Inchicore. John McDonnell's men have taken full advantage of Bohemians' ongoing Intertoto leave of absence amassing seven points from a possible nine while the Gypsies have been on their travels. They had to come from behind after Stuart Malcolm's surprise sixth minute opener but Harp's naivety in defence after that showed why there is now 23 points between these sides in the table. Paul Hegarty's hesitant back four was ruthlessly exploited by the free scoring league leaders and while the manager deserves credit for the attack-minded way in which he set his side up, he may be forced into a rethink the next time he meets a team at the higher end of the table. They started brightly and stunned the home support when Shaun Holmes' cross found roving centre-half Malcolm, and he sent a bullet past St Pat's 'keeper Barry Ryan. 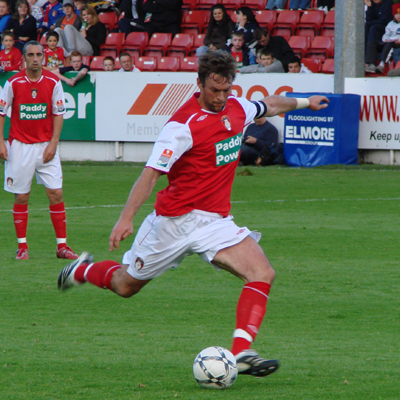 Alan Kirby drew the Saints level with a beautiful strike on 21 minutes. The Harps defence failed to deal with Dessie Byrne's long throw and when the loose ball fell at the winger's feet he sent an unstoppable rising shot into the roof of the net. The away side's inability to deal with balls into the box was starting to hurt them. 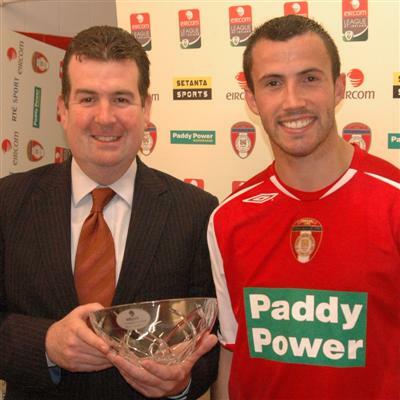 Ryan Guy should have put Pat's in front minutes later when his weak header was straight at Gavin Cullen from point blank range. Strangely, it was a similar lack of composure from Guy that led to Pat's second. 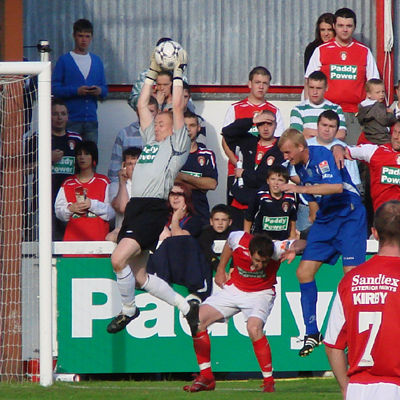 Keith Fahey's cross found the American in the same position. His attempt to control the ball with his chest was too firm but luckily Stephen Paisley was on hand and the defender couldn't miss from close range. Perhaps it was the loss of centre-half Declan Boyle to a half-time injury, but the away side fell apart after the break. The game was over as a contest when Mark Quigley grabbed his 11th goal of the season two minutes into the half. 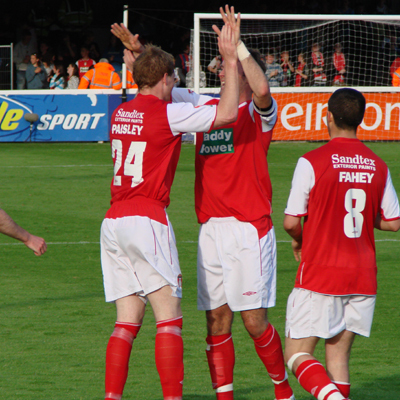 The impressive striker latched on to an inch-perfect Keith Fahey pass, rounded Cullen and slotted home. The home faithful had barely stopped celebrating and it was four. Glen Fitzpatrick was on hand to tap home from close range after the unfortunate Cullen's save from Guy's shot ran into his path. Cullen did contribute an outstanding save to keep the score down, denying Guy with an acrobatic effort but he was picking the ball out of his net again after 75 minutes. 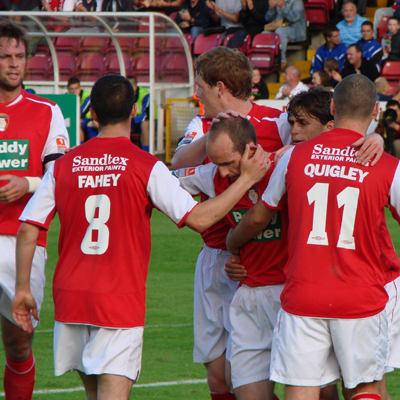 The luckless goalkeeper was only able to parry Fahey's shot, once again straight to Fitzpatrick. He turned provider this time around, laying it off to Paisley who had another easy finish to complete a rare double for the centre-half.